A newly formed premium case brand called Casemachine, formally known as Atomic Industries, has a few bold hybrid aluminum cases out for the iPhone 5 that managed to catch our attention. 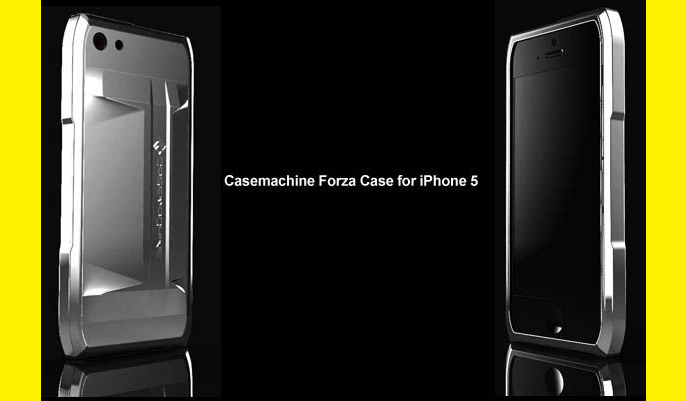 Things didn't work out all that much under its previous venture, but it seems like Casemachine is off to a great start with two of its latest iPhone 5 offerings, which are deeply inspired by high-performance cars and promise no signal degradation despite having the qualities of aluminum and genuine carbon fiber elements in their construction. And if you're a Galaxy S3 owner, there's also a little something for you too. The first is called the i5 Slimline (above), an ultra-slim, 0.42-inch thick aluminum hybrid case that sports a sleek profile and features a screw-less design and integrated machined volume, power and silent switch buttons. A high-impact TPU interior frame adds shock-absorption protection while an anodized aluminum band gives the case its signature premium look, and ergonomic grip. The i5 Slimline offers a choice of either a carbon fiber or Alcantara (a type of suede used in exotic sports cars) backplate. You'll be glad to know that the i5 Slimline case costs a modest $50. That'll show Element Case. 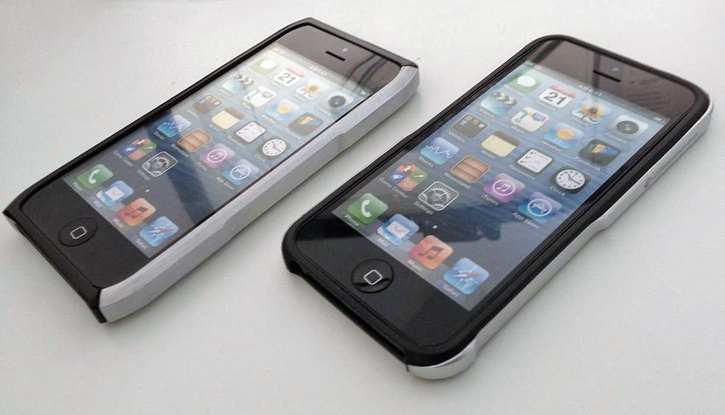 Casemachine's second iPhone 5 offering is called the Forza, a user customizable aluminum hybrid case with a unique angular shape that'll make your iPhone 5 look more like a Motorola Razr Maxx. The Forza is slightly more expensive at $70, and its hybrid construction which shares an uncanny resemblance with that of the Atomic Hybrid C bumper we once reviewed. It features an interchangeable aluminum side rail available in multiple anodized color options, a standard black polycarbonate frame and a shock-absorbing TPU liner. The Forza includes a silver or black carbon fiber backplate of your choice, while an Alcantara and a unique Dimensional polycarbonate backplates are sold individually. Casemachine's i5 Slimline and Forza cases can be pre-ordered now in many different colors, and will start to ship on March 20. 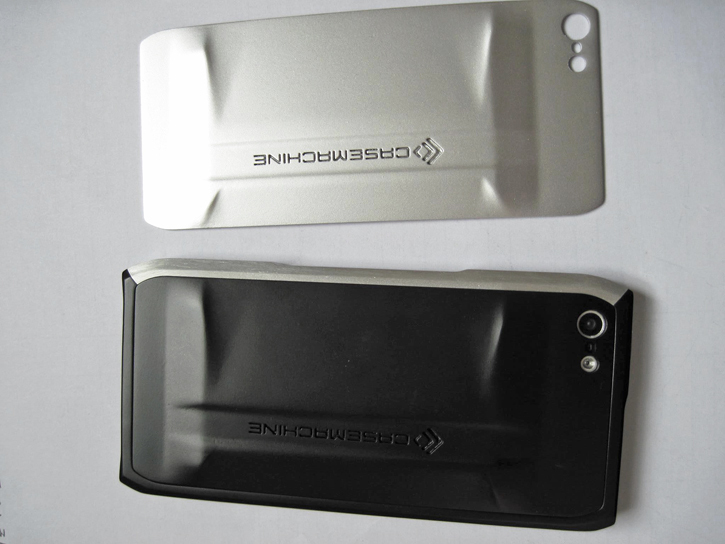 Sadly, all Casemachine has to show at this time are poorly presented renders of its iPhone 5 cases. Albeit, we have gotten a hold of a few images showing the Forza and i5 Slimline prototypes, so be sure to check those out down below.